Do People Really Buy Products Because Bloggers Wear them? Daniel Wellington is probably only in existence because of the sheer number of watches they have handed out to bloggers over the months/years. Overtime the name has grown, they are now available through online retailers, but is anyone buying them. You see a blogger in a clothing item or a shoe, okay He can understand you wanting to buy it because you like it, same could probably be true for jewelry, but watches? Are real non blogger people seeing the watch and then going out and buying it. Its a watch, there are billions of watch brands out there. It just doesn't make any sense to He. 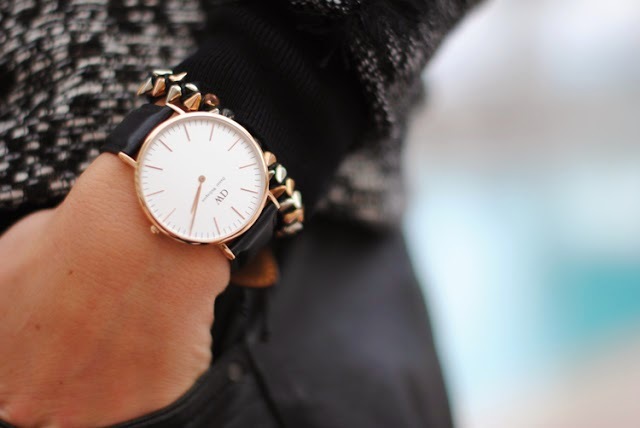 Are people that desperate to look like blogger that they are buying DW watches? He needs to know where is the line, when are you buying something you see from a blogger because you like it and where are the crazies who buy products because they see the same product on 10000 bloggers across the globe.